The Price of the Prize — Brandy Y Productions Inc. 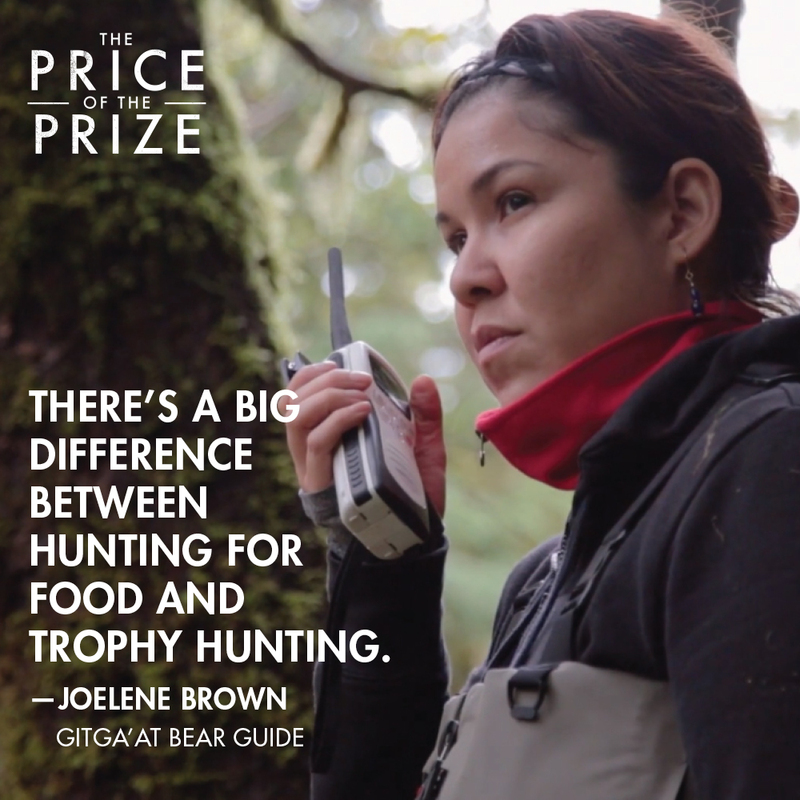 The Price of the Prize is a documentary about the fight to end grizzly bear trophy hunting in Canada’s Great Bear Rainforest. 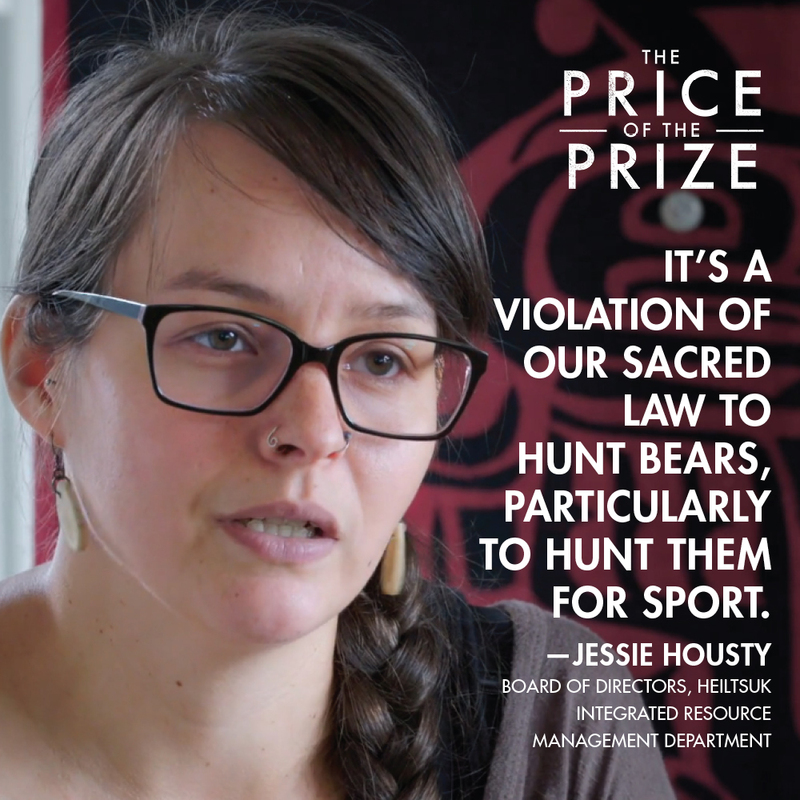 The Price of the Prize is a documentary by Canadian filmmaker Brandy Yanchyk about the First Nations fight to end grizzly bear trophy hunting in the Great Bear Rainforest in British Columbia. The film follows the Heiltsuk, Kitasoo Xai'xais and Gitga'at First Nations as they enforce their ban on trophy hunting through the presence of Coastal Guardian Watchmen. The documentary also shows how the environmental group the Raincoast Conservation Foundation is purchasing grizzly bear trophy hunting licenses in the Great Bear Rainforest to try to stop the commercial trophy hunt. 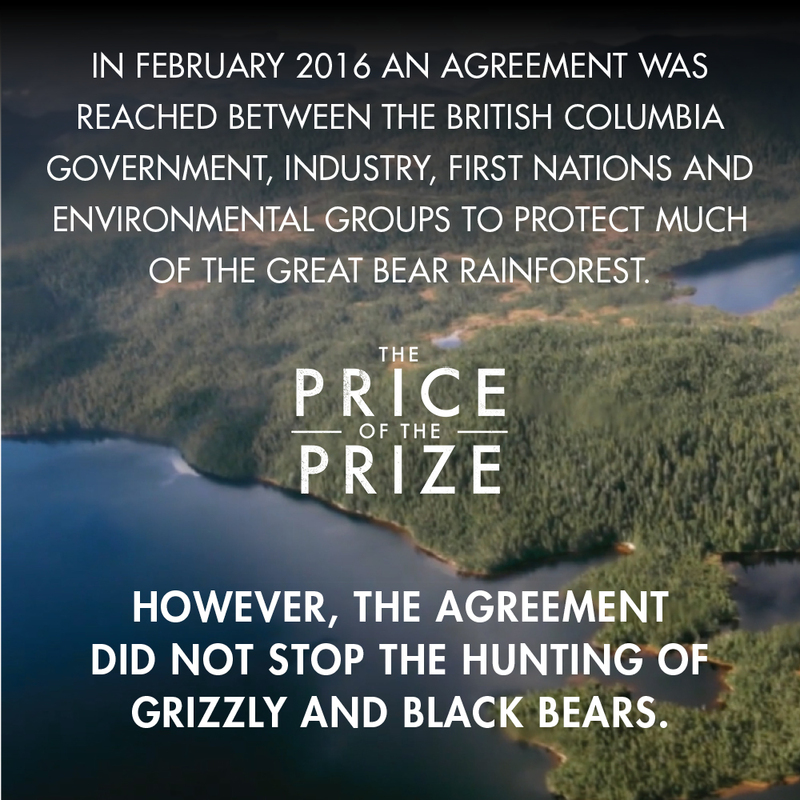 The Price of the Prize gives the viewer unique access to Canada's First Nations and provides the audience with a breath taking view of many majestic animals that live in the Great Bear Rainforest including grizzly and bear bears and the elusive Spirit Bear. To learn more about The Price of the Prize click here.